What Kigali City Dwellers take for granted, others wish for. 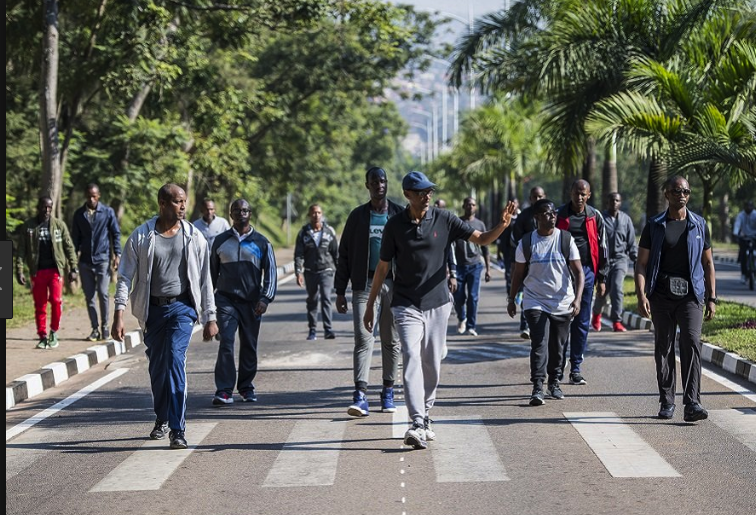 The bi-monthly car-free day has placed Kigali city among the top cities in the world for its policy that is now credited for promoting a health living. NewCities, together with partners Novartis Foundation, Novartis US Foundation, and the City of Montréal, yesterday announced 16 finalist cities for the first edition of the Wellbeing City Award. The prestigious international recognition is the first of its kind. It recognizes cities placing wellbeing at the center of urban design, planning, and policies. The Award was launched in September 2018. More than 100 cities from 27 countries and six continents were considered. The finalist cities for the 2019 Wellbeing City Award, in their categories, are: Community: Bogotá (Colombia), Milan (Italy), New Haven (USA) and Santa Monica (USA) Economy and Opportunity: Amaravati (India), Chicago (USA), Ljubljana (Slovenia) and Pune (India) Public Health: Gothenburg (Sweden), Kigali (Rwanda), Los Angeles (USA), Vancouver (Canada) Sustainable Environment: Avià (Catalonia) (Spain), Curridabat (Costa Rica), Lisbon (Portugal), Moonee Valley (in Melbourne metropolitan area) (Australia). As part of the final phase of the Award, NewCities has brought together an esteemed Jury of Experts, including Arianna Huffington, Aisa Kirabo Kacyira, Daniel Libeskind, and Ede Jorge Ijjasz-Vasquez to judge detailed applications from finalist cities. One laureate in each of the four categories, and one overall 2019 Wellbeing City laureate will be announced April 2019. John Rossant, Founder and Chairperson of NewCities says too often cities are reactively addressing wellbeing as a silo issue, rather than examining ways to holistically improve the quality of life for citizens for the long term and from a social perspective. Just as buildings, cars, and schools have enforceable and measurable standards, so should cities when it comes to wellbeing for urbanites. The Wellbeing City Award will help create data points and key performance indicators around wellbeing within cities that can be applied on a global scale and for cities of all sizes. With improving the standard of urban life as the ultimate goal, cities must be judged on activities and investments that promote wellbeing. “We want to increase the mandate for and recognize cities prioritizing wellbeing. And that is why we launched this important Award.” Dr. Ann Aerts, Head of Novartis Foundation said. “The 16 finalist cities surface a diverse range of wellbeing initiatives. Together with NewCities, we are looking forward to curating and sharing learning and stories of wellbeing success to actively help these initiatives be replicated or adapted on an international scale and contribute to healthier and more inclusive cities around the world.” Amy Fry, President of Novartis US Foundation said. “With the increasing standard of urban life, cities must consider activities and investments that promote health and wellbeing for the long term.” Valérie Plante, Mayor of the City of Montréal added. The annual Award has been developed by NewCities in partnership with the Novartis Foundation, the Novartis US Foundation, and in collaboration with the City of Montréal, Toyota Mobility Foundation, Transdev, and the US Green Building Council.